Sienna received a B.Sc. in Therapeutic Recreation from the University of South Alabama in 1990. 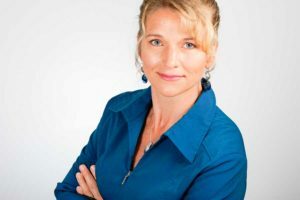 She has worked in long-term care facilities in both Canada and the United States for over 20 years as both a certified therapeutic recreation specialist (CTRS) and a consultant. She is the author of the MARRCC (Measurable Assessment in Recreation for Resident-Centred Care). From 2003 to 2007 she was a national trainer for the American Therapeutic Recreation Association’s Dementia Practice Guideline for the non-pharmacological treatment of disturbing behaviours. In 2008, she received a MA in Gerontology from Simon Fraser University. Her thesis explored the relationship between care staff empowerment and the ability to provide person-centred care in long-term care settings. She continued to study this important topic at the University of British Columbia, where she completed her PhD in the Interdisciplinary Studies Graduate Program. As a postdoctoral fellow in a cross appointment at the Toronto Rehabilitation Institute/University Health Network and the University of Victoria, she conducted an intervention study aimed at improving leadership and collaborative decision making in long-term care settings. Currently, she is an assistant professor at the University of Lethbridge in the Faculty of Health Sciences—Therapeutic Recreation program.